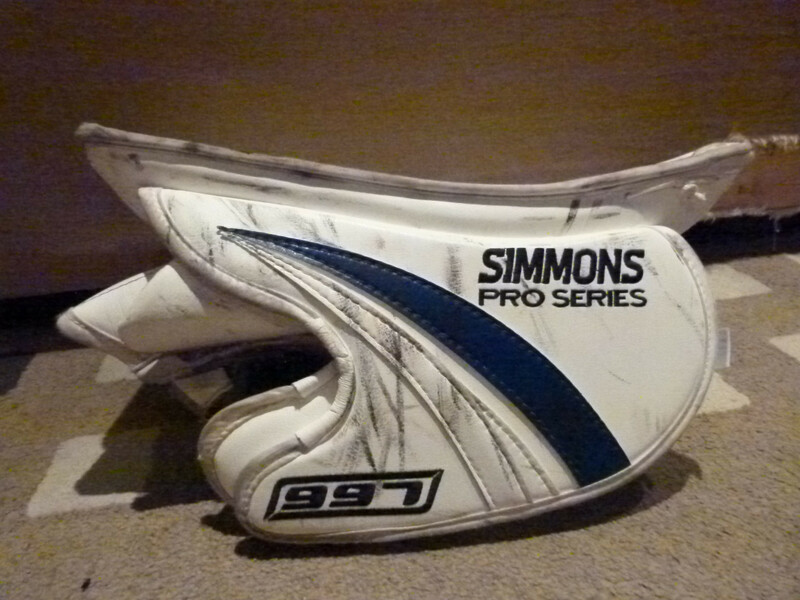 BlockerHistory: CCM Blockade Senior, Simmons 993, Smith 6000, Warrior Messiah, Reebok Larceny, Simmons 997, Vaughn V4 (in the future). 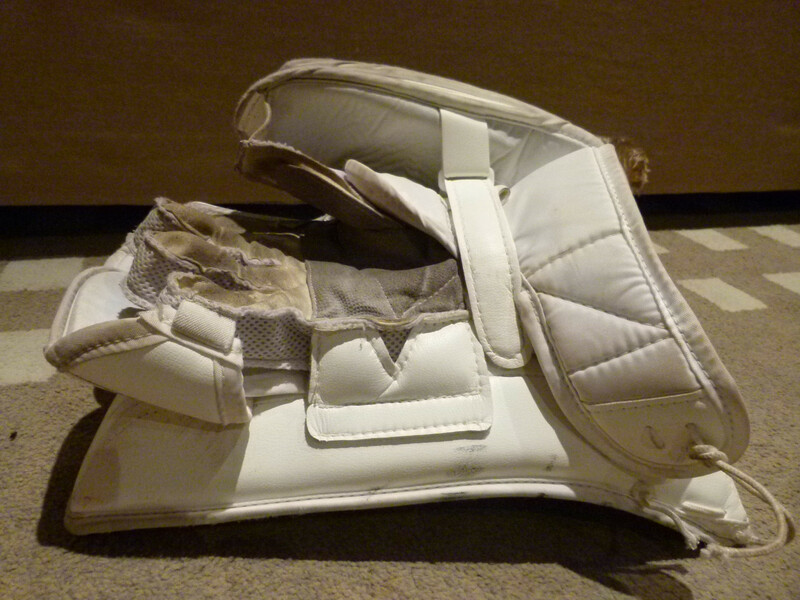 I will eventually add the catching glove to this review, but for the time being I don’t feel like I have enough ice time with quality players to give it a fair assessment. The blocker on the other hand I feel comfortable sharing my experiences as well as tying them with my experiences with the 993 I had before. 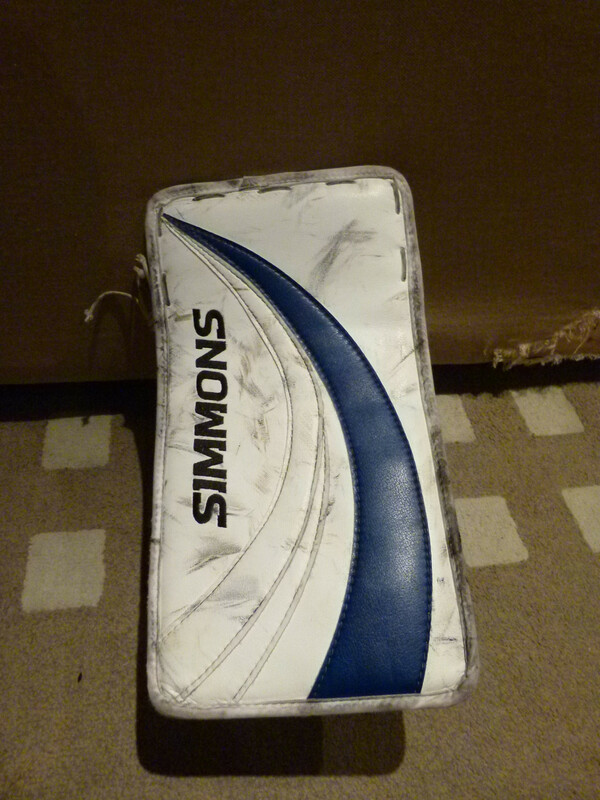 Initial Thoughts: I had tried this blocker on at the Simmons store before, but never really took a good look at it, when I got this I noticed the similarities between it and a Vaughn V3/V4 blocker as well as a cuff similar to the Reebok Premier/XLT series. The blocker seems pretty lightweight and is perhaps the lightest of all of my blockers (I have never weighed them, just going by feel on my hand). 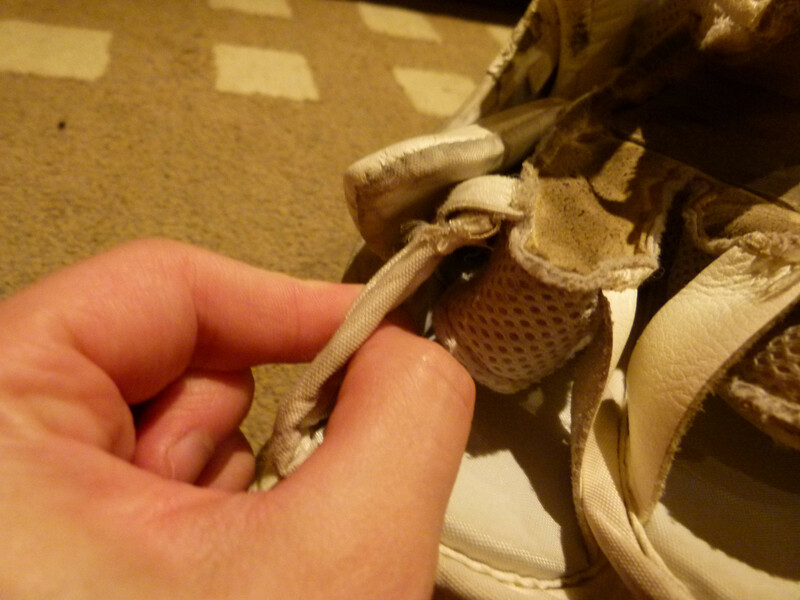 The glove is well made and seems to use high quality materials. ****Note**** Please don’t think this is a bashing Simmons post, because it isn’t. 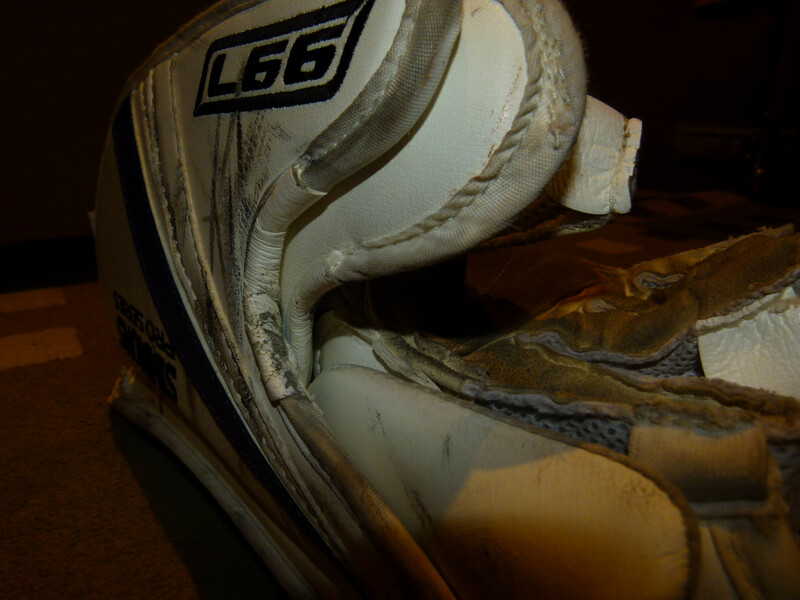 I love their sticks in my other review and so far the catching glove is pretty good. 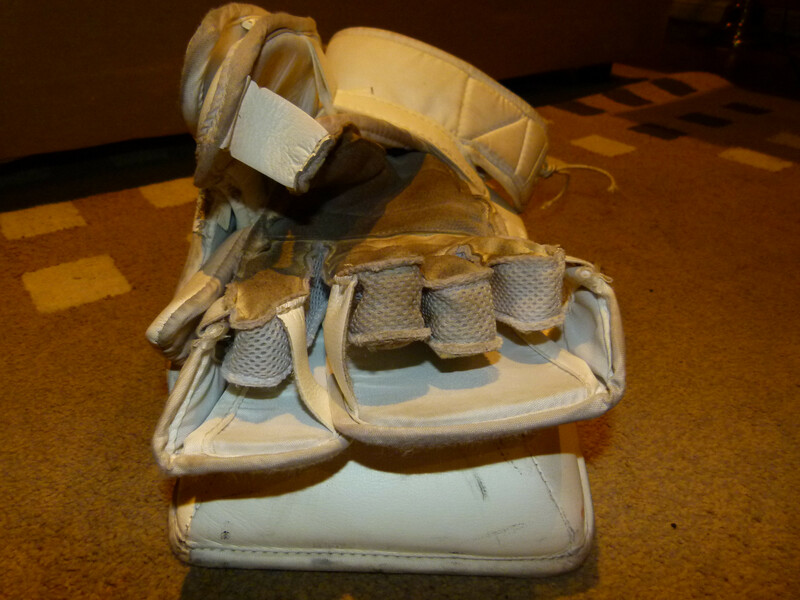 I will try the matching pads to this glove set in the future and they seemed pretty decent as well. I am just being honest with my opinions of this blocker. 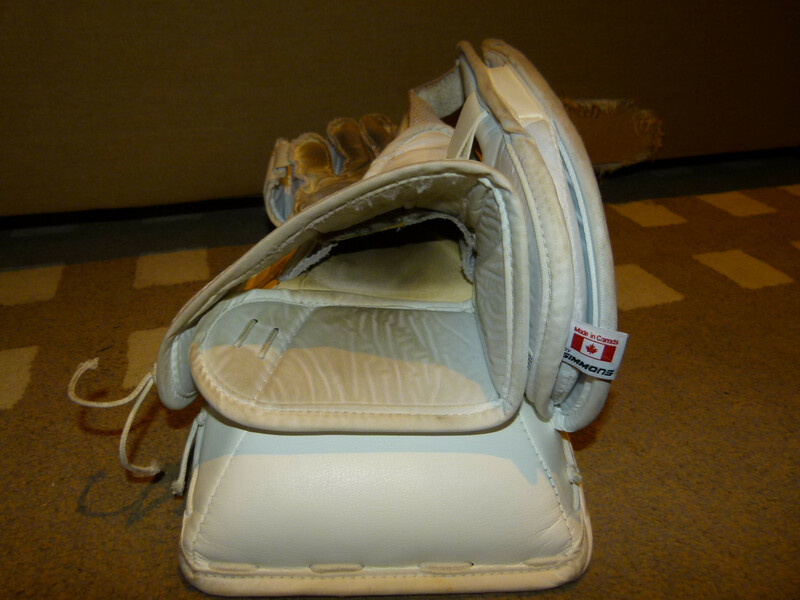 Pretty bare bones interior, no padding on the top to add cushion and tighten the feel. Very little side hand protection. Finger protection is severely lacking. Extra jenpro keeping the nylon binding intact. Outside pinkie protection might as well not be there, really thin foam. 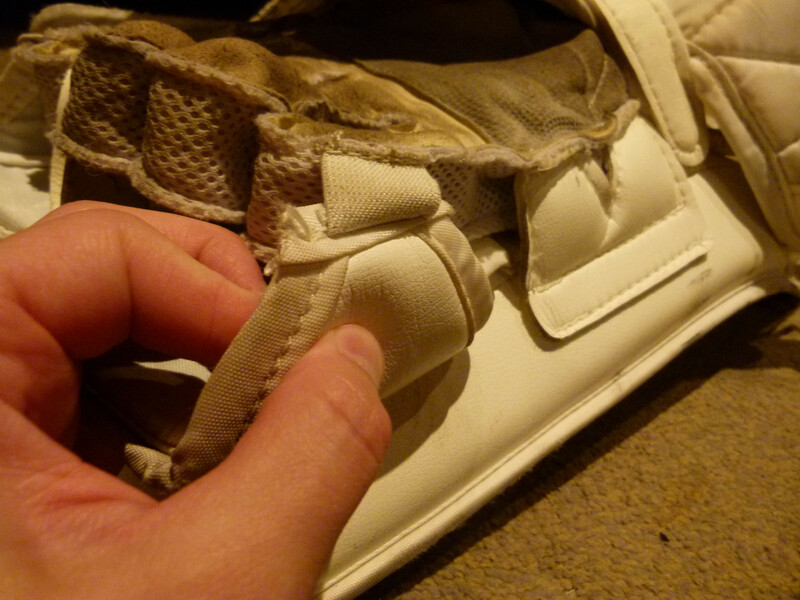 Outside hand protection is also much thinner than competitors. 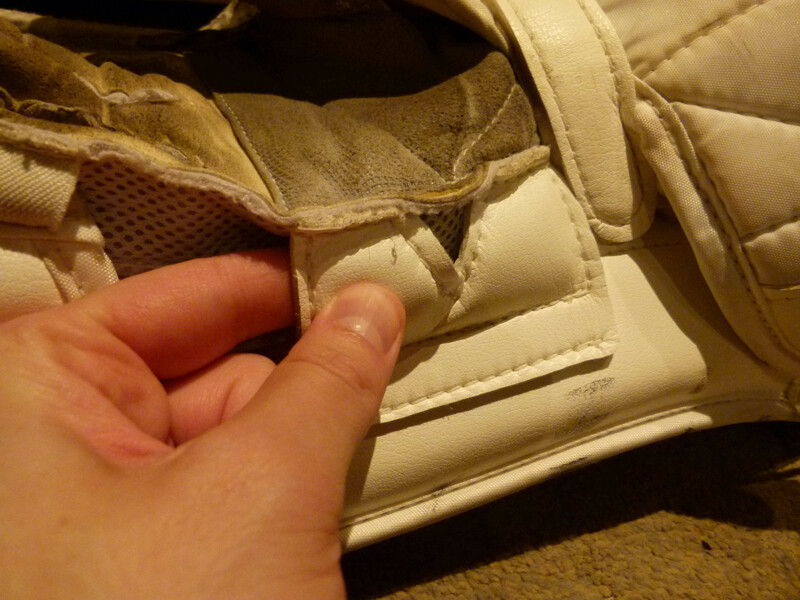 Outside index finger protection severely lacking as well.